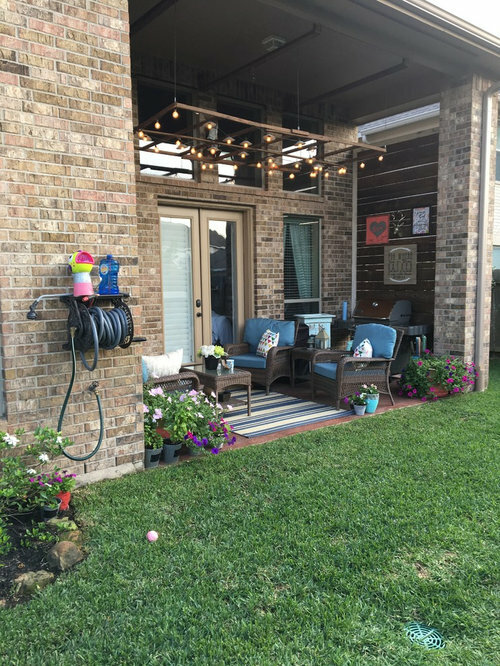 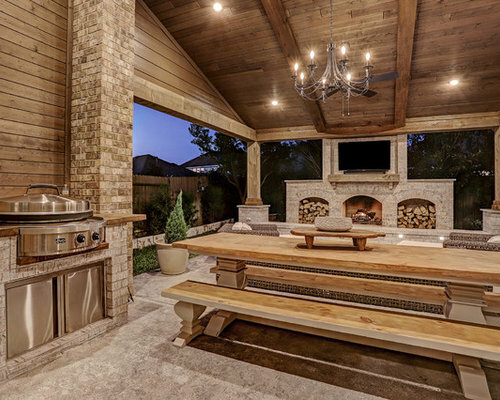 This cozy, yet gorgeous space added over 310 square feet of outdoor living space and has been in the works for several years. 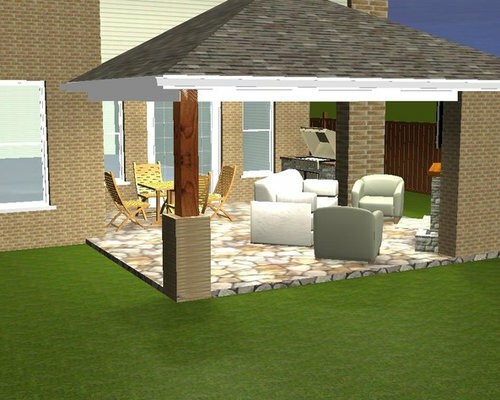 The home had a small covered space that was just not big enough for what the family wanted and needed. 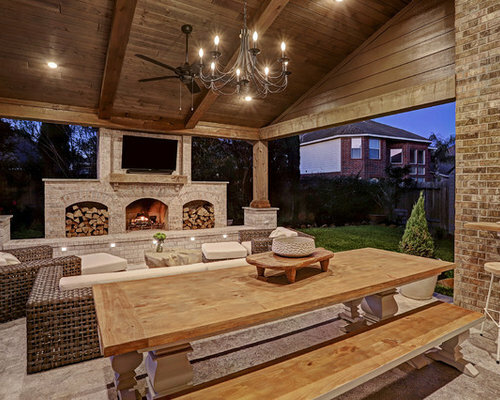 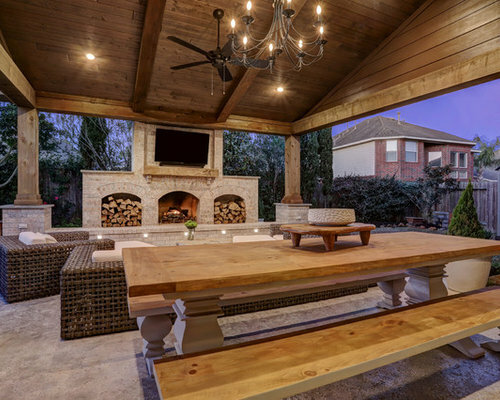 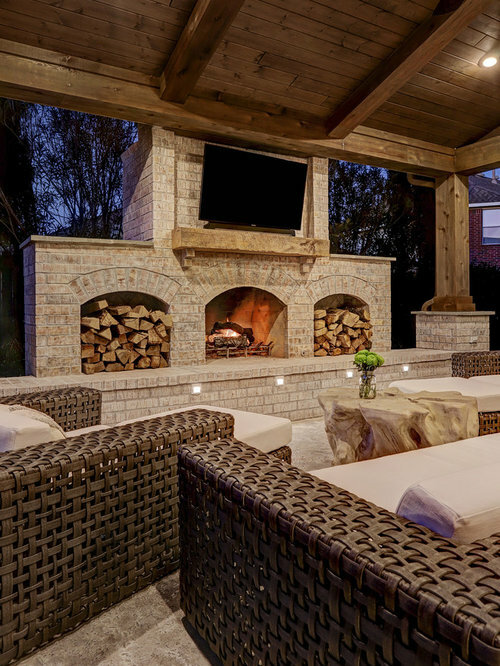 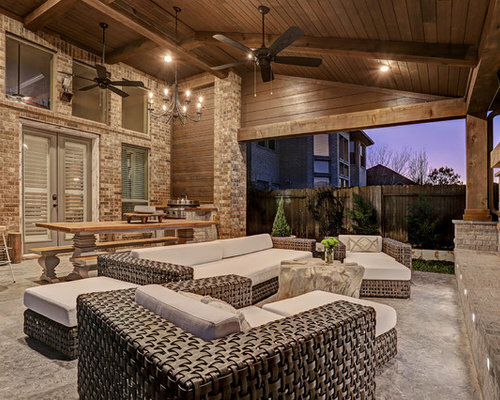 They desired a larger space to be able to entertain outdoors in style. 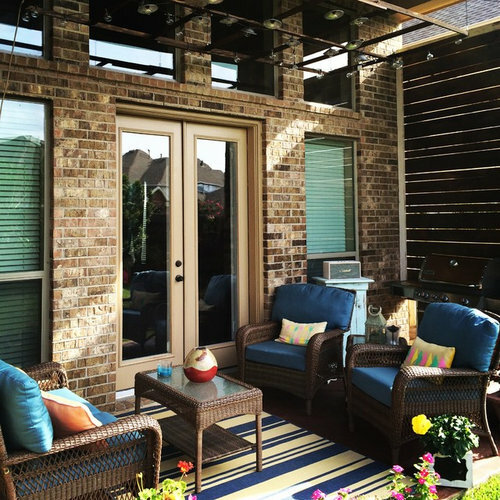 With the additional square footage came more concrete and a patio cover to match the original roof line of the home. 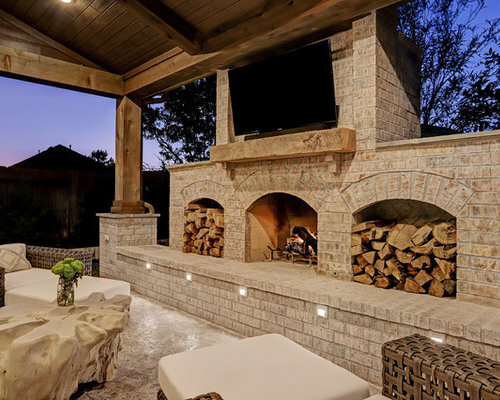 Brick to match the home was used on the new columns with cedar wrapped posts and the large custom wood burning fireplace that was built. 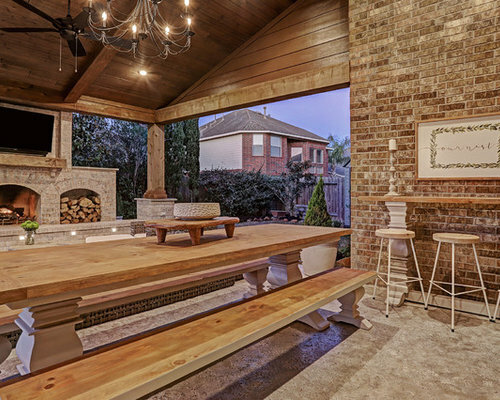 The fireplace has built-in wood holders and a reclaimed beam as the mantle. 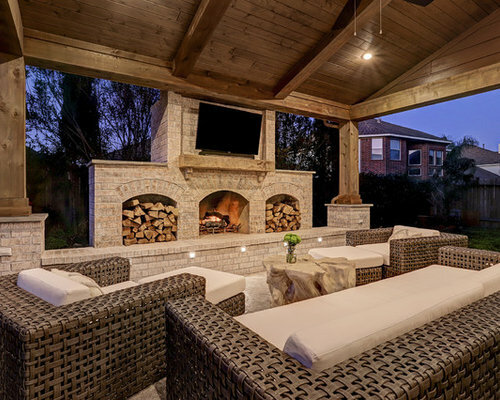 Low voltage lighting was installed to accent the large hearth that also serves as a seat wall. 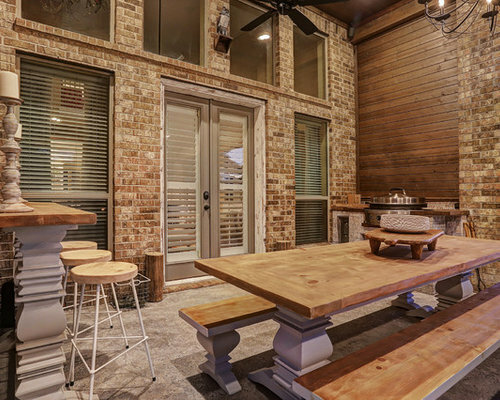 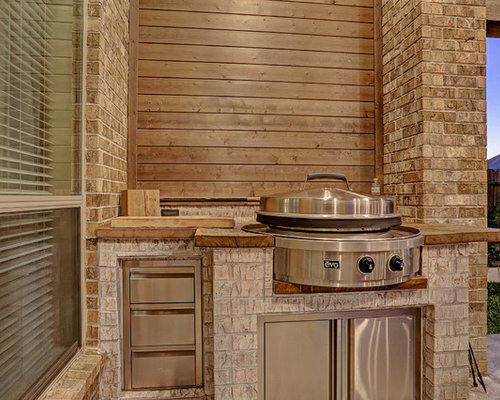 A privacy wall of stained shiplap was installed behind the grill – an EVO 30” ceramic top griddle. 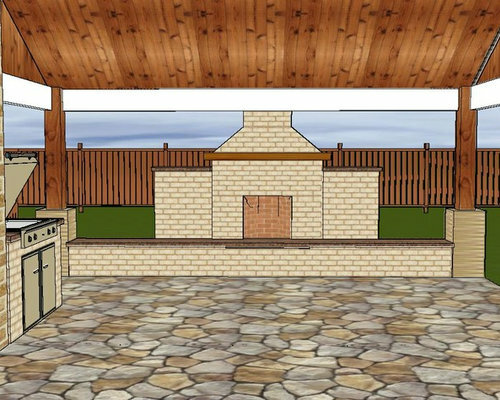 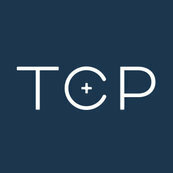 The counter is a wood to accent the other aspects of the project. 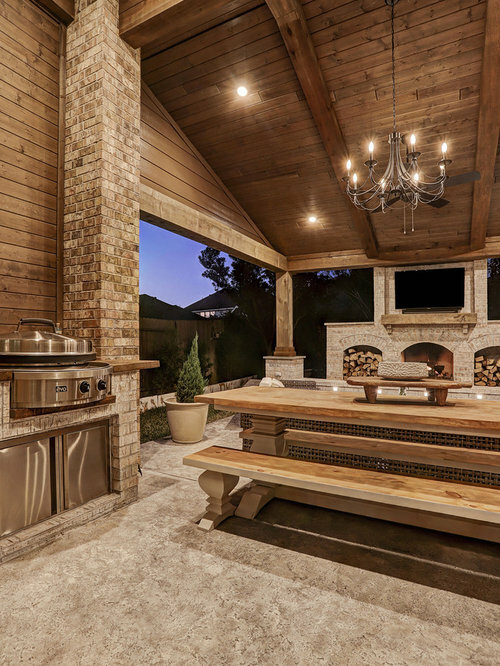 The ceiling is pre-stained tongue and groove with cedar beams. 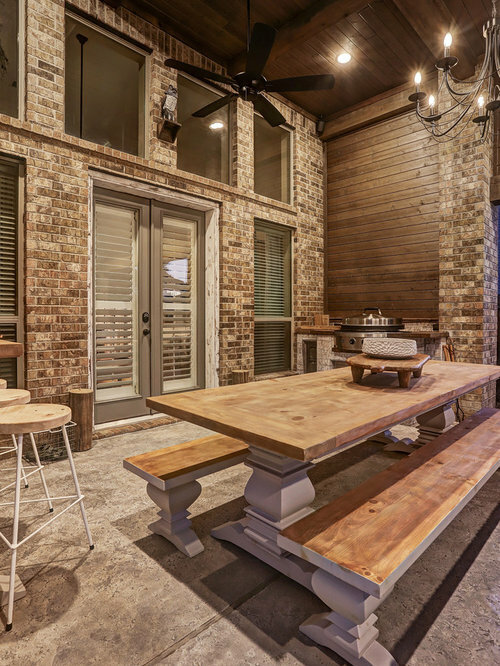 The flooring is a stained stamped concrete without a pattern. 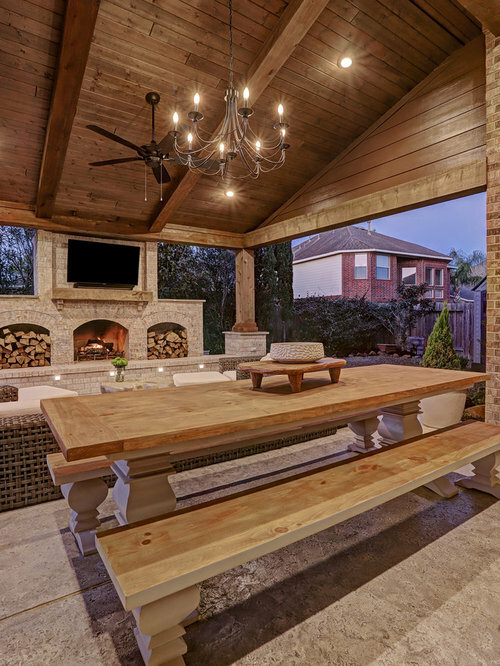 The homeowner now has a great space to entertain – they had custom tables made to fit in the space.